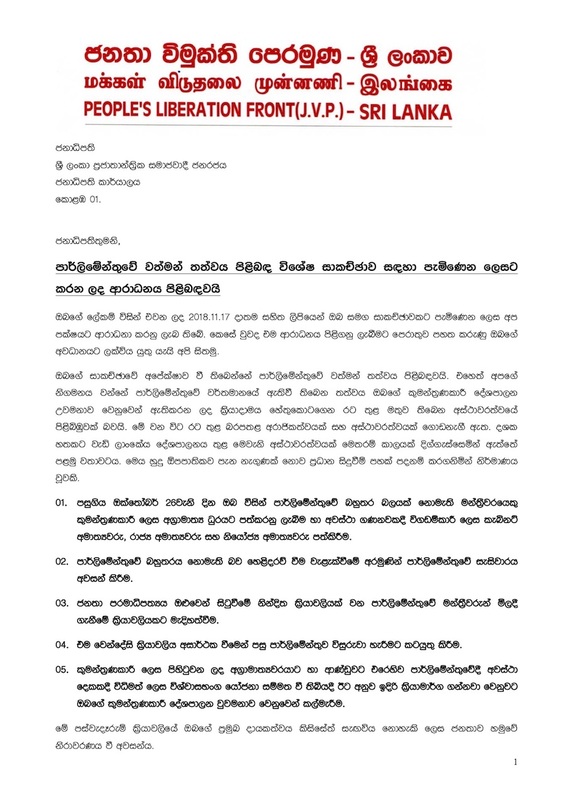 In a strongly-worded letter to President Maithripala Sirisena, the JVP has said the party does not wish to ‘discuss’ the current political crisis with the President, as the latter has to demonstrate his resolve to address the issue by action. 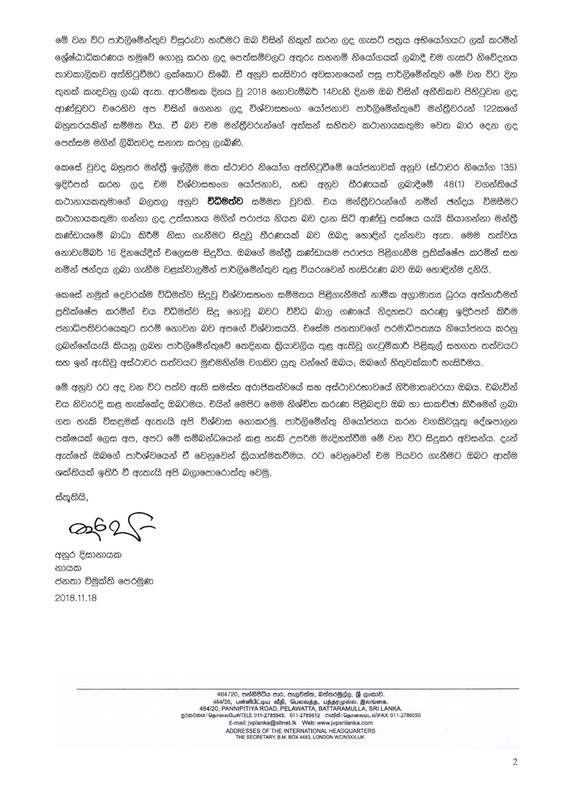 The JVP leader Anura Kumara Dissanayake, in his letter, has explained why it decided to boycott the all-party meeting convened by President Sirisena this evening. The party, describing Sirisena as the ‘creator’ of the political crisis, says Sirisena instigated the turmoil by appointing a Parliamentarian who did not command the majority support in the House as the Prime Minister. The JVP also said the President then triggered a culture where Parliamentarians were traded off to prove an artificial majority for a chosen Prime Minister. 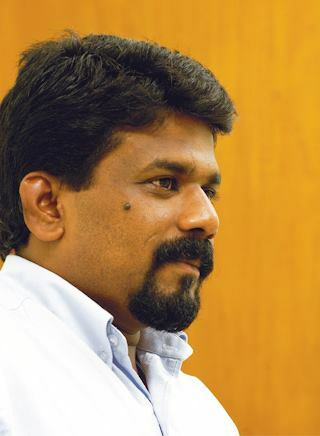 The JVP also criticized the President’s moves to prorogue and dissolve Parliament exacerbating the political crisis, when his attempts to purchase MPs proved to be futile. The party then blamed President Sirisena for offering ‘cheap excuses’ for accepting two no-confidence motions against purported Prime Minister Mahinda Rajapaksa adopted in Parliament. The party maintains that the two no-confidence motions were adopted by the House following the correct Parliamentary procedure, with the contest of a majority. The JVP believes, the latter says, that nothing can be achieved by holding discussions with the creator of an unprecedented crisis. The party points out that the President must now resort to action, and fulfil his part, to resolve the political crisis.